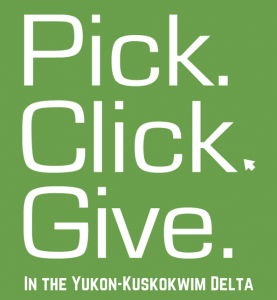 « Tundra Women’s Coalition Encourages Our Supporters to Pick.Click.Give. Nominations Are Open: Help us Find Our Next Yukegtaaq! This award will be presented at the 11th Annual Yukegtaaraat Celebration in Bethel. This dinner, silent auction and awards ceremony will be held at the Cultural Center on Saturday, March 31 at 6 pm. Nominations must be received at TWC by: February 24 at 5 p.m.